dulemba: Ashley Wolff's COMPOST STEW! I'm thrilled to have back my friend and fellow professor at Hollins University, Ashley Wolff. Her wonderfully environmental book, COMPOST STEW, has just been released in paperback, and she dropped by to talk about it's creation. Take it away Ashley! 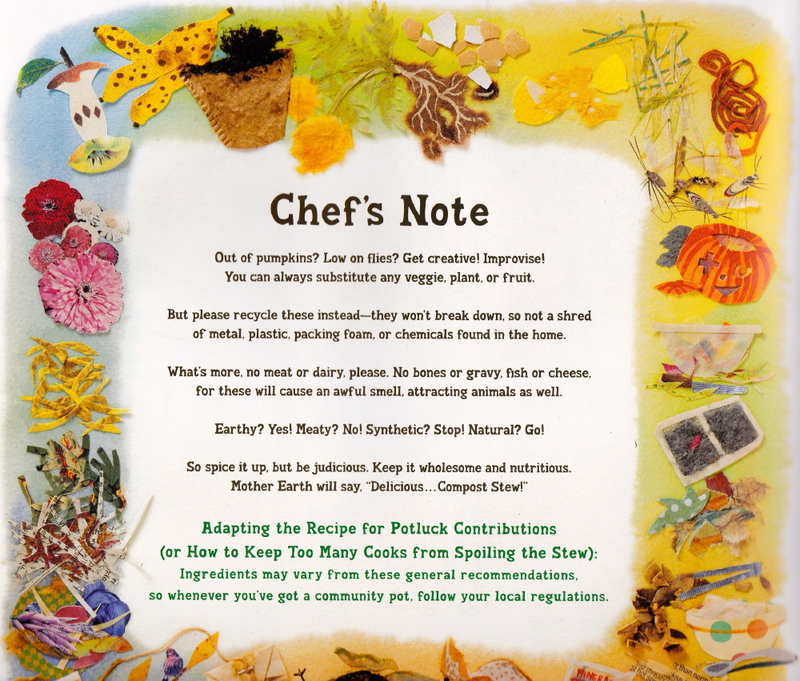 COMPOST STEW has just released in paperback in time for Earth Day 2015! CLICK HERE! In order to heighten the "recycle, reduce, and reuse" message of this alphabet book, I used as many actual recycled objects in the collage artwork as I could. I was able to include real coffee grounds, tea bags, eggshells, nut shells, insects, seaweed, newspaper, mineral powder, and laundry lint. Ashley Wolff has illustrated and written dozens of books. She is always trying out new media if she thinks it will serve the story. Collage was perfect for Compost Stew. Read more about her at http://ashleywolff.com/. Here's a photo of Ashley on the beach with seaweed. She's always so creative, one of her fave things to do is to collect little things that wash up on shore and make Beach Faces out of them! sounds like an absolutely fun book to write and read as well. El día de los niños, El día de los libros!